The National Geographic has been exploring nature, sciences, people and the world around us for some 130 years; pioneering new discoveries and bringing the expanse of the globe closer to the people that inhabit it. In recent years, it’s embarked on yet another journey; this time to bring the sensibilities it has championed for the last more than a century one step closer to home through licensing. Over the past 12 months, the National Geographic has taken significant strides in this space, promoting those values among modern audience through concepts ranging from live experiences to STEM toys, and everything in between. 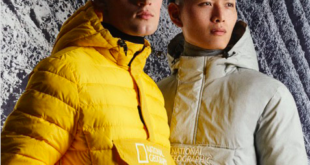 What is the National Geographic brand bringing to Brand Licensing Europe this year? What aren’t we bringing to BLE this year? We now have a team in our main European markets to drive local activation of the brand, have worked on a kids consumer products guide for the first time, new assets to drive our core adult business, market activation plans through EMEA linking to all aspects of the brand, new partnership launches, and plenty more. It’s been a busy years so far, but exciting to see how the licensing programme has evolved in such a short space of time. What does National Geographic bring to the licensing space and the consumer products space as a brand? Furthering the knowledge and understanding of our world is, and always has been, the core purpose of National Geographic. As one of the world’s most trusted brands, we put into practice those words every day and believe passionately in entertainment with purpose. We create premium products and experiences that can both educate and delight our consumers, and try to be a leader in the industry in terms of ethical and sustainable products and experiences. 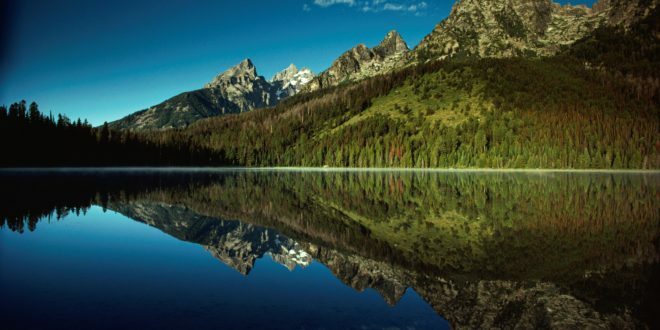 We also return over a third of our proceeds to the nonprofit National Geographic Society to fund work in the areas of science, exploration, conservation, and education, which helps the consumer feel part of the solution as we aim to achieve our core mission, a planet in balance. At the same time, how has the brand grown within the licensing space over the last year or so? It was grown significantly. 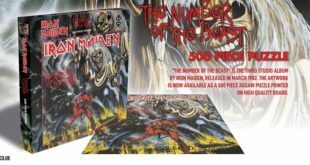 For Kids, we have expanded our publishing business with new partners and new formats across the region, have launched a STEM line distributed by Bandai that is performing extremely well, have signed Steiff for a plush to launch next year and a fashion collection with a UK retailer, only to name a few. We are launching footwear in April in Clarks, Dreamtex and Hermet are developing our bedding, Carousel Calendars launched their first collection in September, there are Tisserand adult and kids HBA products produced only from recycled materials; the list goes on, we have been very busy. How have we seen licensing change and evolve over recent years and how is this now being reflected in the partnerships, initiatives and concepts that National Geographic is implementing? 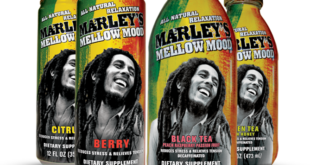 Licensing has evolved significantly over the last few years, along with consumer’s relationship with CP brands. From an industry perspective, retail has a stronger voice and requires a point of difference to consider listing, retail space is reducing yearly so opportunities to launch new brands is increasingly hard. Licenses also come from many influences, not just toy, publishing, movie and TV but digital gaming and social media, and the competition has increased significantly. Consumers have also evolved in terms of their needs and now gravitate towards brands that have purpose, aligning themselves with companies and brands that ‘do good’ in the world. As National Geographic has a Scientific body at it’s core, we are looking at how we use these our brand values, explorer findings and impact initiatives to drive our consumer products conversation, as well as finding partners that can drive a sustainable product message. Clarks has a Global reach, a fantastic UK footprint, and sixteen pairs of the shoes will be made from 100% recycled plastic bottles. Our Tisserand’s collection will use only recycled material, Teemil’s fashion is from 100% organic cotton and generated in a factory using only renewable energy and Dreamtex will be using a mix of recycled material and 100% organic cotton for their kids and adult bedding. These partnerships are enabling us to drive an ethical and differentiated product message. National Geographic recently launched its first published fiction title – can we expect more moves like this, tapping into the wider entertainment and children’s space? Yes, Explorer Academy is the first of a multi-title series with the first launched on September 6th. We expect to launch two new titles a year from 2019 and the market reaction has already exceeded expectations. And we’re planning to launch more fiction series as part of our imprint Under the Stars. Why is now the right time for such a move for the brand? Real exploration is at the core of what we do. As a brand we have children read our factual titles from pre-school through to adult, and as we all know, children have wonderful imagination, so to mix the factual world of ‘real exploration’ code breaking, with the fictional world of Explorer Academy, feels like a fantastic opportunity to deliver an exciting new world to our readers. What does National Geographic look for in a partnership – what are the shared values you look for? We are looking for partners that share our values, and that want to partner with us to help us make a positive difference to the world in which we all live, whether that is driving a positive conversation through a sustainable product, or educating children through our kids business; passion, creativity and storytelling are key. What areas of licensing are you looking to take National Geographic into next? You are across digital/social/ etc – is there more scope for increased presence in live experiential? We already have a fantastic business in the US with National Geographic Live where our National Geographic Explorers entertain thousands of people each year with their work, their challenges, findings, and experiences, and we are looking at how we bring this to Europe. We are also working with iP2Entertainment, to develop a series of indoor, interactive family exploration centres worldwide, drawing on National Geographic’s award-winning content. The first location opened in Shenyang, China in May of this year. The first European site will open in Italy, in 2020. How’s the ethos of exploration, culture, the world explored through your licensing partnerships? 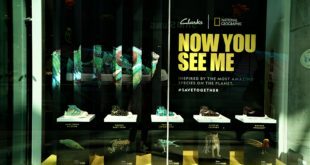 We are working closely with our partners to link through to our core, protecting animals and the environment, pushing science and exploration further, whether this is through beautiful photographic storytelling with Carousel Calendars, or sustainably sourced products such as the Clarks relationship. What’s the next step for National Geographic in the licensing space, and why should potential partners be excited by the brand? Not only are we one of the world’s most trusted brands, we are also just at the beginning of our licensing journey, with some elite partners already on-board to launch products for SS19. Consumers expect brands to make a positive impact on the world, and with this fantastic start, new creative, an already engaged consumer base, along with extremely positive sales to date, I feel we have a huge amount to offer new partners and retail as we gain momentum in to SS2019.